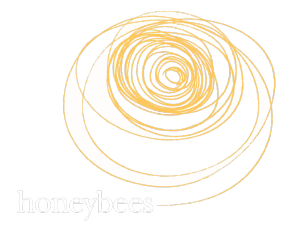 Honeybees Choir - Have a Listen! Bern performs Jesus Gonna Be Here. Spreading some Christmas cheer with Pretty Little Baby. Below is a list of some of the songs in our current repertoire. Feel free to contact us if you'd like to know more. Down to the River to Pray. This was first published in 1867 in "Slave Songs of the United States" and attributed to George H. Allan. The title was "The Good Old Way" and the worshippers went down in de (sic!) valley (rather than to or in the river) to pray. It was performed by bluegrass star Alison Krauss in the film "O Brother, Where Art Thou?" and in concerts thereafter. A traditional spiritual made famous by Harry Belafonte and sung mostly by classical choral groups rather than by gospel groups. The lyrics show the loving familiarity felt by the slaves toward the baby Jesus. Shape-note gospel composer Albert Brumley wrote I'll Fly Away in 1929 in Oklahoma. He may have been thinking of getting out of the Dust Bowl during the Depression as well as ascending to heaven at death. This is one of the most recorded of all gospel songs. He'll Never Let Go My Hand was written in 1951 by Lucy Matthews (Lucy Smith Collier, 1925-2010), the pianist for the Roberta Martin Singers, one of the most influential choirs of the Golden Age of Gospel. It was later sung by the Spirit of Memphis Quartet and by the Clara Ward Singers. Our arrangement is by Tony Backhouse. Curtis Mayfield was a soul, R&B, and funk singer-songwriter and guitarist, who is perhaps best known for his brilliant film score for Super Fly. In 1965, he wrote our next song, People Get Ready, There's a Train A-comin, as an anthem for the civil rights movement. There are many gospel songs about trains, probably because they were the usual way of Black people leaving the South for the Northern cities and a better life. Mayfield's civil rights and voting rights train was symbolically linked to those real trains. Francine Patton will sing this song down the tracks, and Jennie Jackson will be the conductor. Zora Neale Hurston mentions this song in her 1937 novel, "Their eyes were watching over God." This version is based upon the Evangelist Quartet recording on "None but the Righteous."